These vacant lots located on Don Bishop Road is convenient to the Choctawhatchee Bay, beaches of the Gulf of Mexico, shopping and dining. There is a boat launch at the end of the street for easy access to enjoy coastal living - kayak, fish or paddle board! 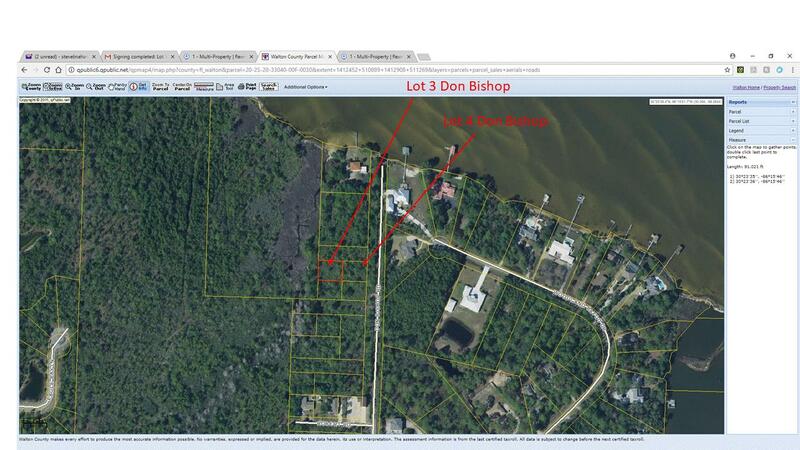 Lot 4 Exclusive Beach Blk F is available as a single .24 acre lot for a fantastic single family home site close to the bay. No HOA fees! Narrow parcel to the north is platted for a road but will need to be built out and approved by the county.